The top Democrat on the Senate Foreign Relations Committee said Democrats want President Trump to succeed at his summit with North Korean leader Kim Jong Un but that the talks are "a risk” because of Trump's apparent lack of preparation. "The president has gone into a high-wire act without a safety net, and the preparation for this type of summit -- while we applaud robust diplomacy -- the preparation for this type of summit, to test the proposition of what Kim Jong Un is really willing to do or not, has not taken place," Sen. Bob Menendez, D-N.J., told ABC News Chief Anchor George Stephanopoulos on "This Week" Sunday. "And so this is a bit of a risk." The Democratic senator added, "A meeting, as I have said, and a deal is not the hardest part. It's getting the right deal at the end of the day." 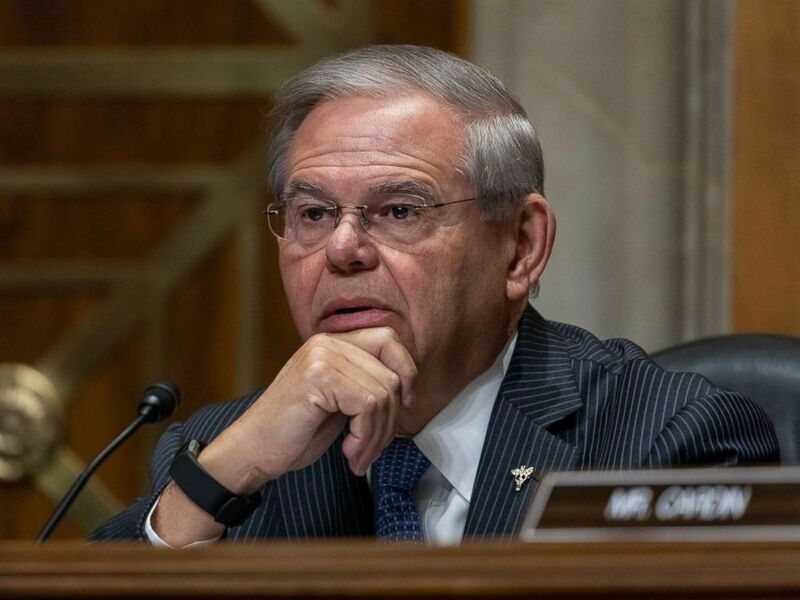 Menendez was among several Democratic senators who wrote President Trump last week urging that the U.S. not grant North Korea any relief from sanctions without a verifiable dismantling of its nuclear and missile arsenal. Senator Bob Menendez is pictured during a Senate Foreign Relations Committee confirmation hearing on Capitol Hill in Washington, April 12, 2018. The New Jersey senator told Stephanopoulos on "This Week" that Kim has already benefited from the upcoming summit because it has given him international recognition. "To the extent that Kim Jong Un has already gone from international pariah to being normalized internationally, you have to say that he's had some success here," Menendez said. The Democrat also responded to Republican Sen. Lindsey Graham’s saying in an earlier appearance Sunday on "This Week" that Democrats in Congress should support Graham's draft authorization for military force against North Korea in case diplomacy fails. "I'm not ready to give an authorization for a use of military force to this president or any other one until I understand that the path for peace is not obtainable," Menendez said in response. He said his agreeing to the use of military force would also depend on whether "the threat continues to be a real challenge to the national security of the United States, and we have all of the intelligence and a robust debate in the Senate" on such an authorization.